Often the best ways to become more productive start by people being lazy or limited in some way. You can’t read that website right now? Just get a Chrome extension to read it to you. Text-to-speech (TTS) technology is nothing new. 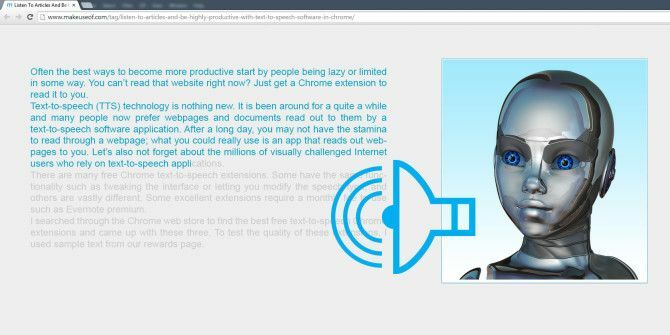 It is been around for a quite a while and many people now prefer webpages and documents read out to them by a text-to-speech software application. After a long day, you may not have the stamina to read through a webpage; what you could really use is an app that reads out webpages to you. Let’s also not forget about the millions of visually challenged Internet users who rely on text-to-speech applications. There are many free Chrome text-to-speech extensions. Some have the same functionality such as tweaking the interface or letting you modify the speech type, and others are vastly different. Some excellent extensions require a monthly fee to use such as Evernote premium Evernote Free vs. Paid: Which Plan Is Right for You? Evernote Free vs. Paid: Which Plan Is Right for You? Should you upgrade from Evernote's Basic to it paid Plus or Premium plan? We show you who will benefit from the paid plan and when you should not bother. Read More . I searched through the Chrome web store to find the best free text-to-speech Chrome extensions and came up with these three. To test the quality of these extensions, I used sample text from this very website. 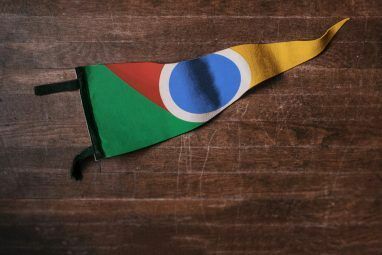 SoundGecko is undoubtedly one of the best free Chrome text-to-speech extensions. After installing it from the Chrome Web Store, click on the SoundGecko icon to launch the options page. You will need to register with your email address to begin using the extension. You can change the color of the toolbar icon to gray and choose to automatically transcribe a page when the SoundGecko icon is clicked. Save the changes and then open any webpage. To read a text snippet, select the text, right click to reveal the context menu and click the SoundGecko icon. Choose Listen to Text snippet with SoundGecko. A new tab opens up on the SoundGecko website and the playback begins. You can also convert webpages to audio while you browse and send them to SoundGecko simply by clicking the toolbar icon. A notification is sent to your email address and you can listen to the article later. The files are downloadable as MP3 audio files. SoundGecko’s free plan also allows you to send a URL in an email. Simply email go@soundgecko.com with any URL in the body of the email and the article is converted to speech ready for listening in your SoundGecko account. You can listen to 30 articles every day with a cap of 4,000 words per article and sync SoundGecko MP3s to your Google Drive, SkyDrive or Dropbox cloud storage. Other supported platforms include Firefox, Android, iPhone and Windows Phone. With that sort of playback versatility, your productivity is bound to increase. Listen to the sample audio below. None of the Chrome extensions tested can match up to the natural sounding voice of SoundGecko’s speech synthesis. Select and Speak offers 43 iSpeech TTS voices. To configure the extension, right click the toolbar icon and select Options. On the Select and Speak Options page, you can choose a male or female voice, adjust playback volume and speed, and add the extension to the context menu. You can also add speech recognition to all text input fields. To listen to text on a webpage, first select the text you want it to read then click the icon to start listening. Listen to a sample below. After installation, SpeakIT offers a range of options to adjust the playback settings. Right click the icon on the toolbar to reveal the Options menu. The text-to-speech engine has several choices such as Google US and UK (both male and female), SpeakIT, native and the iSpeech engine used by the Select and Speak extension above. You can test each engine using the provided Testing field. To listen to text, select the article text and then right click to reveal the SpeakIT shortcut in the context menu. Alternatively, click on the toolbar icon and then the Play button. Do the same to stop the playback. Listen to the results below. Unlike SoundGecko, you cannot convert articles on the go for listen to later and there is no way to save your playback in both Select and Speak and SpeakIT. Text-to-speech software has come a long way and keeps improving by the day. However, I am yet to find an application that offers 100% natural voice and intelligibility. That said, these free Chrome extensions are definitely the cream of the crop. 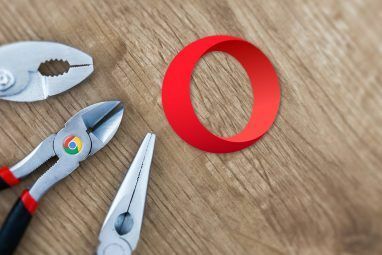 For more free Chrome extensions, check out our Best Chrome Extensions page. Have you tried any of these text-to-speech extensions? Did you find one is more suitable for a particular task than the others? Let us know your thoughts below. 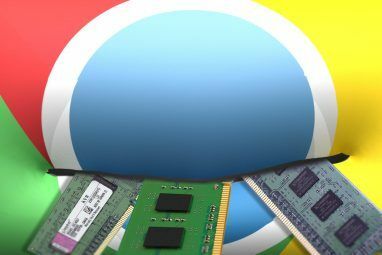 Explore more about: Google Chrome, Text to Speech. Why is the a fatal flaw? If you had low vision, fudging around with the mouse to select text is the last thing you want to do, especially with the mobile devices. One reader that I think gets it right, most of the time, is "web page reader" by Bell Pepper..(hasn't got an update in a while) you tap once at the first paragraph and it read the whole page from there, and it has over sized play, fast forward , rewind buttons are at the bottom of the screen. You can control the playback with hardly a glance at the screen. Why aren't more of the readers like that? Try Voice instead in chrome store! That's my favorite! isn't text-to-speech built in to most operating systems?